Academic Director Nancy Rothbard explains how Women’s Executive Leadership focuses on both leadership development and business acumen. Gaining New Confidence: Maureen Clancy says this program gave her the confidence to seek a promotion. With a dual focus on clarity and confidence, Women’s Executive Leadership delivers sophisticated business and leadership concepts that have immediate and practical application for today’s women business leaders, allowing them to improve their leadership capabilities and advance their career. Participants will come away with a better understanding of how to apply contemporary business theories currently driving their organization and results, while creating a personal plan for their own professional advancement. 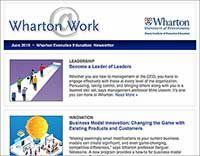 Wharton faculty, led by Professor Nancy Rothbard, apply their field-based research and the latest strategic insights to help women leaders find clarity in their careers while mastering key business acumen skills for which Wharton is renowned: leadership, strategy, management, finance, innovation, and negotiation. What sets this program for women executives apart is its strong focus on business acumen and leadership, combined with a practical approach to developing and honing these strategic skills. Each afternoon, participants will break into small groups to review the day’s learnings and discuss how they can be put into practice. 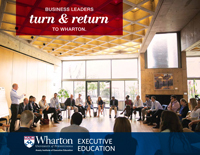 Wharton faculty and executive coaches oversee the sessions, providing real-time coaching and feedback for effective outcomes, and translating the practicum for participants to take back to the office. Within this collegial forum, participants will establish the beginnings of a lifelong network of women executives — who often face similar decision points and possibilities along their career paths — which can become a rich resource of influential peers. The way the program was structured really kept your attention. The flow of the content was really good; the speakers were for the most part amazing. You barely wanted to take a bathroom break for fear of missing something good! I was particularly impressed with Professor Sigal Barsade’s emotional intelligence sessions. I learned a lot about myself and the people I interact with. I have definitely applied that—probably every single day since I’ve been back from the program—in dealing with my co-workers, superiors, and board members. I also really liked the financial session. 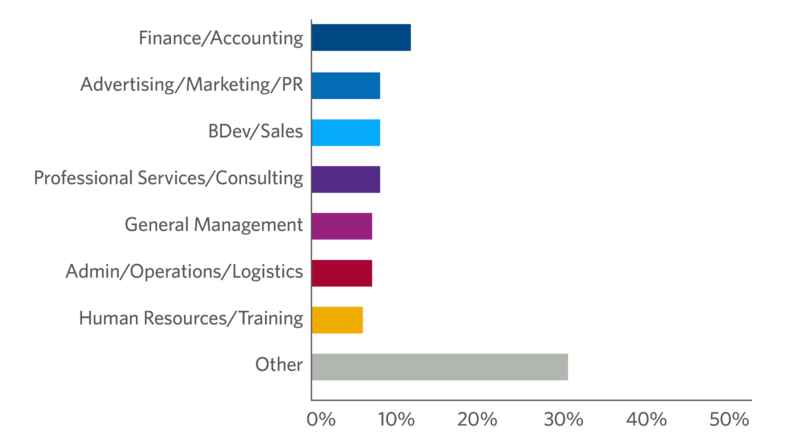 I’ve worked with CPAs for a long time but my background is not financial, so it was a good way of seeing what my members do every day. Plus, my company recently went through financial reporting for year-end, and I felt like I was more prepared to understand the details. Wharton’s Women’s Executive Leadership program was a gift to myself; a life-changing experience and totally worth it. The experience is still very near and dear to me. The program was very structured and managed well. A big takeaway for me was the emotional intelligence session, which was beautifully crafted and we role-played to understand others’ emotions. I also liked the session on financial acumen. I’m a math person, so I’m technically savvy, but the instructor really made finance look simple to everyone. Also, the negotiation tools I learned are something I use daily at work still today! I met so many great people in the program, from South Africa and Saudi Arabia and from all around the world, working in different areas such as teaching, banking, and startups. They are building communities of women leaders within their organizations, which is so powerful when you think about it. The program is already helping me in my career, not just that I have Wharton on my LinkedIn profile, but with my career goals. I’m currently director of engineering within Comcast aspiring to become a senior leader in this space. How do I get there? I learned about being an adaptive leader and am slowly but surely crafting my role into where I want it to be eventually as I turn into a lifelong student! I would definitely recommend the Women’s Executive Leadership program and have already recommended it to several women at Comcast who don’t know about the course. I would consider taking another Wharton course in the future, maybe the Advanced Management Program." What attracted me to Wharton’s program was its focus on women. The way Wharton structured this program we were able to become very close in a short time. There was a lot of exchange of experiences in a structured way — my class had women from Africa, Brazil and the U.S., and we all have the same challenges. That was really comforting and exciting. The emotional intelligence session was one of my favorite parts. You always think that you are a certain kind of leader but being able to detach and look at it from a different perspective was very helpful. I’ve applied insights I learned during the session every day not only professionally but also personally. 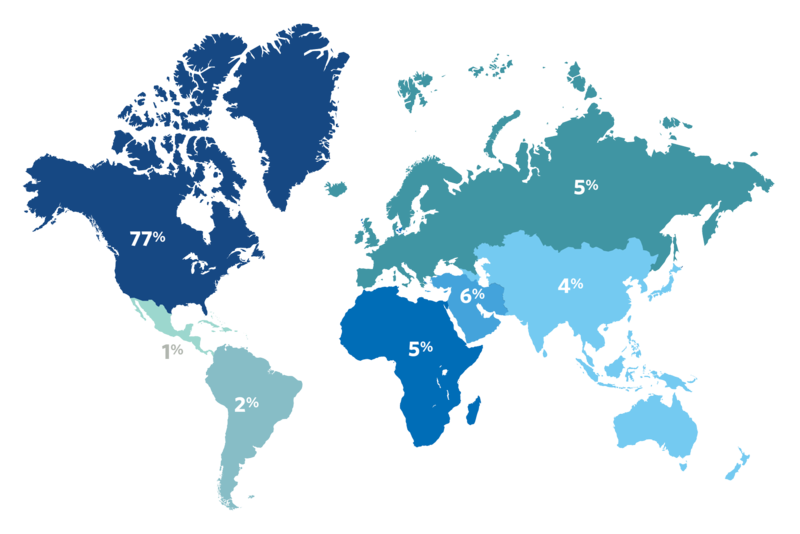 Also, I’ve worked in financial markets, which is a male-dominated environment here in Latin America and in the U.S. I was happy to learn that the challenges I had during my career were the same as the other women in the program regardless their career focus or age.